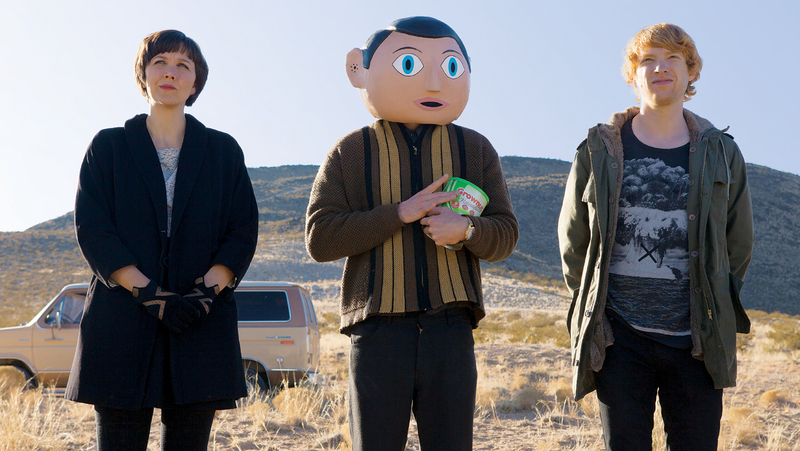 Through most of its running time, Frank is a charming dark comedy filled with entertaining offbeat characters that make up a band trying to make relevant music. Sadly, the last half hour falls prey to cliché and a neatly wrapped happy ending that differs in tone with the first sixty minutes of film. However, I must commend Michael Fassbender most of all for taking a role that offered him very few opportunities to express emotions through facial expression. Charming yet flawed characters fill the screen in this wonderful road trip of musical nostalgia. Stillwater, the fictional band at the center of the film, may be the kind of band every groupie in the 60s or 70s would have wanted to follow. I was taken especially by a surprisingly heartfelt role from Kate Hudson. and yet another strong turn from Frances McDormand. Awesome film with some terrific music to go with it. Career best performances by Miles Teller and J.K. Simmons. Find my full review here. The film is the less inspired folk music version to Richard Linklater’s Boyhood. Oscar Isaac puts quite a subtle and nuanced performance that deserved accolades, but for every plot avenue that seemed to be opening during the film, the Coen brothers looked the other way, choosing instead to offer us an insight into the pathetic and selfish life of a failed musician. A disappointment. A somewhat interesting premise that is riddled by less than stellar acting and by nearly every cliché in the horror book genre. An easy pass for those seeking for quality scares. I have heard many critics lauding this film as one of the best of 2014, but aside from strong performances by Marion Cotillard and Joaquin Phoenix, The Immigrant is a dull and oppressively depressing film. It was like watching a pot of water being warmed without ever reaching a boiling point. There was hardly a payoff even if the film does offer a hopeful ending. A few worthy scenes save it from mediocrity, but it was hard to be more involved when I found Cotillard’s character to be extremely unnerving for her inaction and passivity. In most cases, when a film resorts to secrecy as a means to delay the forward movement of plot, then we are most likely watching a flat piece of cinema that lacked imagination as to how to develop a story around an interesting idea. 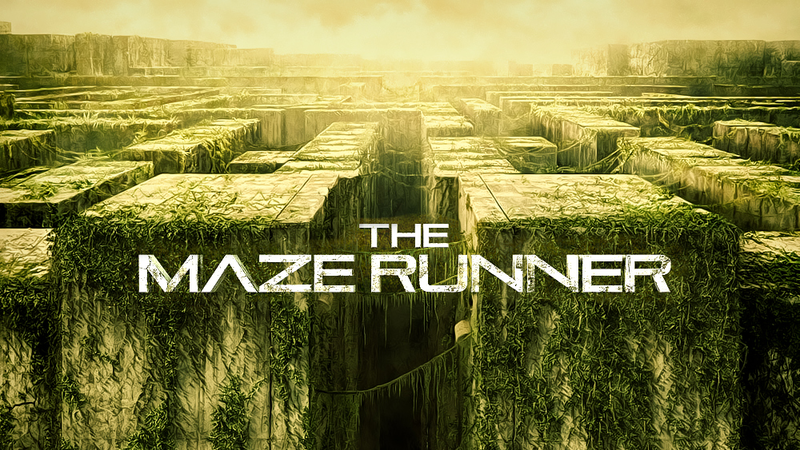 In the Maze Runner the characters rarely become more than superficial archetypes, and the back and forth between them lacks believability, not to mention the final few scenes lack the punch to really tie it all together. I believe The Maze Runner could have been a good film in the hands of a better director. However dense Particle Fever seems to get, it only does so to appeal to our collective curiosity. If one lacks the interest in science or an interest in finding an answer to century-long questions about the origin of life, then Particle Fever is not for you. Even for those who are only mildly curious and are somewhat interested about the science behind the facts then Particle Fever will not only offer fascinating conversations, but it will also invite you to the field of Physics and bring you into the lives of those who breathe for it. After watching the same interesting idea be repeated ad infinitum through film, one begins to object the very concept that the idea was ever good enough to put on a motion picture. There is nothing particularly wrong about The Double except that it was made after many films have tried, with different levels of success, to explore the idea of a character with split-personality, schizophrenia, or something of the sort. Once again, we are never sure what the case might be, and the proceedings eventually become inconsequential to the final payoff. On a more positive note, I did enjoy the blanket of dark humor, the cinematography and the very complex and nuanced performance by Jesse Eissenberg who proves, once again, that he is best playing quirky and awkward young men of great intelligence. Much like The Double, this is a film that is plagued by the mystery surrounding a character’s mental well-being. Unlike that of Jesse Eissenberg, this piece of film-making is oppressively grim and Christian Bale plays a character so troubled he can no longer function at a very basic level. The Machinist is, at times, engaging but, in most occasions, is a little too contrived in its exploration of mental anguish and guilt. Despite Christian Bale’s sickly skinny body in The Machinist, there was nothing harder to watch so far this year than The Silence. This German film deals with child molestation in a way that is so realistic and bold that it may turn off most viewers. This is not to say that it is a bad film, or that is not made in the most tasteful of ways. My question here is whether difficult subjects like this even deserve a cinematic treatment at all. Without a doubt it was a satisfying month with film. Aside from the horror flick As Above, So Bellow, there were no other movies that deserved to be called mediocre. Having said that, January came with its share of disappointments. There was, for example, the let down represented by the Coen Brother’s Inside Llewyn Davis, which was only saved by solid performances and wonderful music. On a similar note was The Machinist, which was recommended to me by a few people, but was ultimately less impressive than I had hoped. 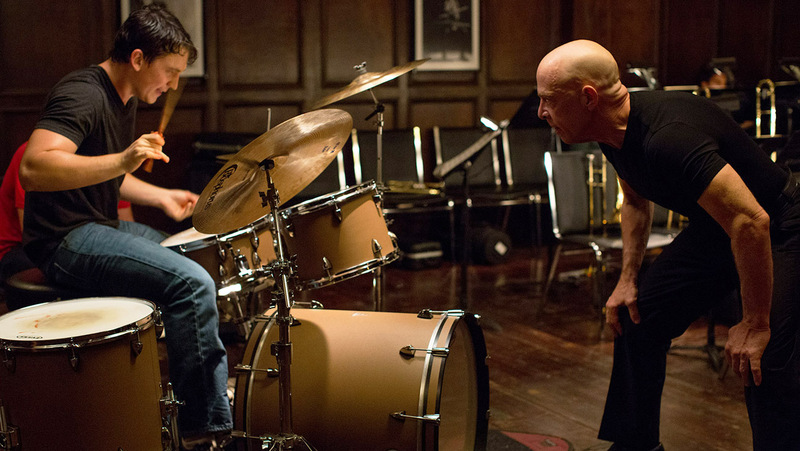 The best of the month certainly goes to Whiplash, which displaces Blue Ruin for the top spot of the 2014 films I have seen so far. Almost Famous lived up to its billing and would definitely rank second for the month. Everything else was either what I expected or just about good enough not to merit more praise from me. Good month for you no doubt. I like that BlindSpot choice. I still need to see Frank though. Frank is okay, but nothing remarkable about it. Thanks for stopping by! Like the focus on music films! I still need to see Frank (high on my Netflix queue), but Almost Famous is one of my favorite films of all-time. Glad you were able to check that out. I had a similar reaction to The Double last month. The dark humor and the performances were quite good, but overall I felt underwhelmed. When it comes to doppleganger stories, I much prefer last year’s Enemy instead. I really enjoyed Almost Famous. It is definitely a film that is not shy about capitalizing on our collective nostalgia and the main characters are very likeable, which makes it nearly impossible not to root for them at the end. I wasn’t a fan of either The Double nor Enemy as you probably know from previous comments I have made, but that is not to say I don’t appreciate some of the things that they were trying to do. Thanks for stopping by Eric! Hey Niels! We actually have the same thoughts about THE IMMIGRANT and FRANK, I just watched the latter and I really wanted to LOVE it but the middle act is a bit all over the place and overall it just didn’t move me. The performances are great though, I’d say the same about The Immigrant. Glad we share the same opinion on both The Immigrant and Frank. I really wanted to like them both a lot more, but I found them difficult to embrace. The first for its overly passive storyline and the other for its rather unimaginative last act. Thanks for stopping by as always !